Pregnancy is a time of dramatic body change over approximately 40 weeks. As your bump grows exercise can help to manage any difficulties experienced during pregnancy plus prepare your body for labour. Exercise during pregnancy is wonderful. It can improve mental health, increase energy levels, improve sleep, prevent the onset of conditions like diabetes, hypertension and high cholesterol plus help with weight control. There are however some things to keep in mind. At this time there is an increased risk of musculoskeletal injury due to the hormonal changes increasing the laxity of connective tissue. In particular, as your baby bump grows there will be more demand on the pelvis and lumbar spine that can lead to aches and pains. One of the main focuses of exercise during pregnancy should be to strengthen the pelvic girdle by increasing the strength of gluteal muscles. Squats are a great exercise to include in a prenatal exercise program and depth can be determined by stage of pregnancy and individual circumstances. One of the main risks with exercise is overheating, especially during the first trimester. There has also long been a view of don’t start exercising if you haven’t been doing something regularly before becoming pregnant. This is no longer the case with exercise now seen as having many benefits for mum and baby during this time; and can be started at any stage. If you have not been regularly active before pregnancy it would be advised to start slowly with walking and exercises such as Pilates and yoga. 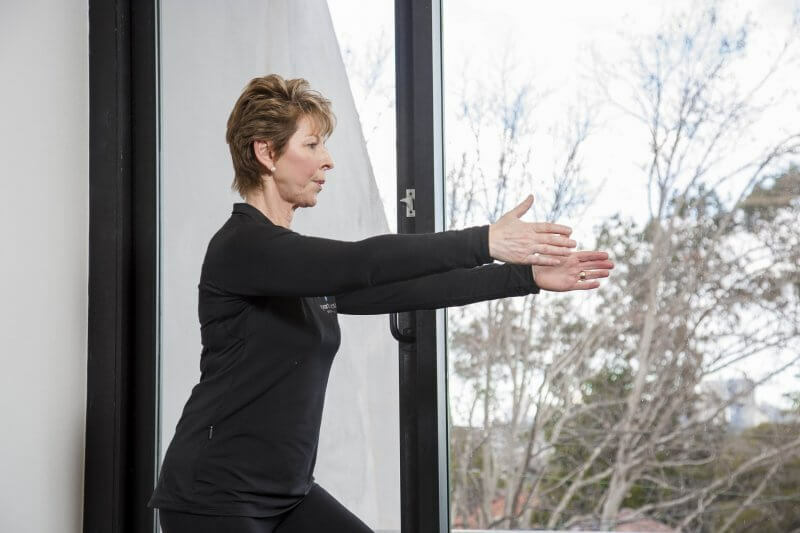 Should you have any questions about your body and exercise or experience pain during movement come and see one of our Women’s Health Physiotherapists to see how we can help get you back moving. Join our Pre- Natal exercise classes at Northbridge and Wynyard locations.